In response to the revelations of harassment in the Theatre, the #MeToo and #IrishWeinstein hashtags Women in Film & TV Ireland have collaborated with members of Waking the Feminists to produce a toolkit on how to deal with harassment. It is a detailed guide of what to do if you are experiencing issues like this; including making a complaint at work, when to make a criminal complaint, useful information on who to contact and links to get further information. We hope our members will it find useful and encourage you to disseminate it as much as possible. 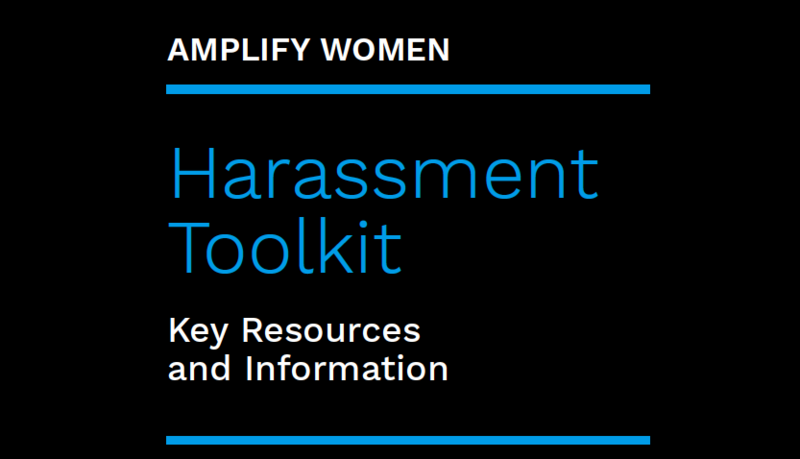 And is also being disseminated through the Amplify Women umbrella. Amplify Women is an umbrella group of organisations who represent, or carry out research, on women working in the cultural and media industries. The organisations distributing and endorsing this initiative are: Women in Film & Television, Irish Equity, Broadly Speaking, Women in Animation, Members of Waking the Feminists, The Writers’ Guild of Ireland, The Screen Directors’ Guild of Ireland, Screen Producers Ireland and Women on Air.